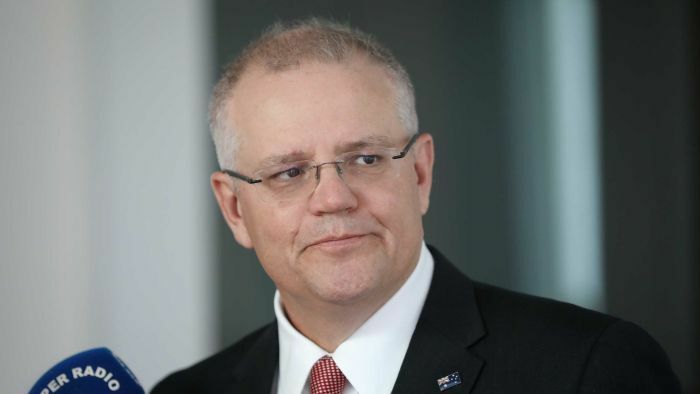 The Liberal Party’s electoral humiliation in Victoria has unleashed an internal fightback that has been brewing for several years and poses a significant challenge to Scott Morrison who is under pressure to save the party from electoral death. The psychological impact of Saturday’s devastating loss for the Liberals in Victoria means a number of MPs have decided they can no longer stay silent and must now openly and coherently battle to return the party to the centre-right or risk electoral oblivion at the next federal election and beyond. Those who are not aligned with the hard right — a collection of Liberals from moderates to economic dries who are not big C conservatives — fear the threat to the Liberal Party is now existential. They tell me the hard-right rhetoric and repudiation of mainstream values from a belief in climate change to gay rights is so toxic it has led lifetime Liberal voters to shun the party. One MP told me, “They are embarrassed to vote for us”. When your own base — so called rusted-on voters — are embarrassed to vote Liberal, it’s time to look very intensely in the mirror. They say the Victorian result, which follows the Wentworth Liberal loss, has now systematically debunked the idea that the mythical Liberal “base” is full of climate change deniers and demonstrated that Liberal voters are unprepared to back a party that doesn’t reflect how they view contemporary Australia. One MP told me in colourful language the party is now toxic among women and young people. He says it faces a demographic timebomb unless it shifts its rhetoric and policy direction. This is beyond the immediate electoral cycle. This is a battle for the identity and values of the Liberal Party — a battle to restore the party to the centre-right. The widespread abandonment of the party in its own heartland has pushed a number of MPs to stand up against what many have been describing as the hard-right takeover of the party and articulate a vision that allows disaffected Liberal voters to come back home. The brutality of the result means you can now expect some honesty and truth telling from MPs who have calculated that staying silent has only emboldened the hard right and given the public the impression the bomb throwers are permanently in charge. Victorian Liberal MP Tim Wilson is one of the new truth tellers. So is Victorian Liberal senator and Senate President Scott Ryan. There are others too, who feel that while the next federal election looks all but lost — the extent of that loss must be stemmed now or the Liberal Party will face a generational wipe out. Mr Wilson revealed he sat on polling booths on Saturday and, “Every second person either gave me deadly silence, a very cold, deadly silence, or there was people mentioning energy, climate or the deposing of the [former] prime minister”. “I think we can get past that, but I know the people who vote for me, I know them very well, and I can tell you they are not rusted-on conservatives and out there on the battle gates,” Mr Wilson said. Senator Ryan says Liberal voters don’t “litmus test” to see how conservative they are. “A lot of Liberal voters, they’re fairly conservative in their own lives. They raise kids, they work hard, they run small businesses … but they’re pretty [small-l] liberal in their political outlook,” he said. This is not just a Victorian wake-up call. MPs from across the country say the backlash from small-l Liberal voters in the Liberal heartland can be witnessed already in places including Brisbane, Sydney’s bluebelt and beyond. They say the feedback on the ground is poisonous. Some hard-right conservatives are keen to paint Victoria as some kind of left-wing utopia disconnected from the mainstream concerns of the rest of Australia. That kind of delusion is one Bill Shorten will hope prevails. An ideological battle for the heart and soul of the Liberal Party helps Labor with its political narrative. It literally writes Mr Shorten’s attack lines. Labor is on a trajectory for a significant win by May next year unless the Coalition can collectively drink the truth serum to pivot and recalibrate and give Liberal voters a reason to come home. The last parliamentary sitting fortnight will now be overshadowed by this loss and the battle for the messages that it sends. In NSW, where the Liberals are set to vote in March, the Premier wants the federal Libs as far away as possible. The wake-up call has been ringing off the hook. But will anyone listen? Next articleIs Ozil’s Arsenal place in doubt and do Chelsea have a Kante conundrum?